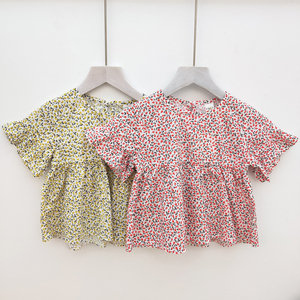 Huzhou Hao Tong Xue Children's Clothing Co., Ltd.
Fuzhou Zhongfeng Sports Products Co., Ltd.
Yiwu Zedan Garment Co., Ltd.
Jinzhai County Blossom Import & Export Trading Co., Ltd.
, Ltd , where you&rsquo;ll find all the high quality fabric products you need to make your little princess look amazing! we are looking for the honest customers and warmly to establish the long-term cooperative relations. If there is any question,please don't hesitate to contact with us ,We will reply you ASAP. Quanzhou Jimila Import & Export Trading Co., Ltd.
Shishi Baohui Garment Making Co., Ltd.
no matter you are a wholesaler, a distributor, a retailer or a web shop owner, we are the best choice for you. We adopt the modern production management and have a well trained quality control team. No matter you are a wholesaler , a distributor,a retailer or a web shop owner,we are the best choice for you. However, buyer should make sure that the items returned are in their original conditions. Besides, you need to provide us some important measurements of yours. If you have any problems with our Dresses or services, please feel free to contact us. , TO MAKE FABRIC MORE LUSTER AND SOFT &Oslash; STYLE & FIT : CUSTOMISIBLE &Oslash; PRINT or EMBROIDERY : CUSTOMISABLE AS PER BUYER ARTWORKS . , &Oslash; LABELLING : CUSTOMISABLE WITH BUYERS LOGO & WASHCARE & WARNING INSTRUCTIONS &Oslash; PACKING : EVERY PIECE IN A SINGLE PIECE POLYBAG WITH BUYERS BRAND TAG ,BARCODES etc. , AND BULK PACKED IN CARTON BOX &Oslash; SPECIALISED PACKING : HANGER PACKING,POUCH PACKING & PRINTED GIFT BOX PACKING ETC . 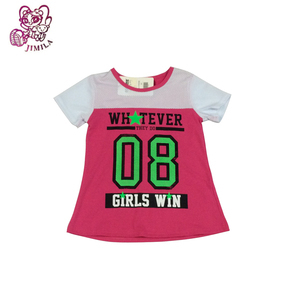 new fashion design girls t shirt Item description: 1)Materials 100% or as your request. ,Ltd is a large knitting garment manufacturer, who has many years manufacturing and export experience. Our main products: T-shirts, Polo shirt, Hoodies, Tank tops, Underwears, etc. Jiangxi Kingtex Industrial Co., Ltd.
'your satisfaction' is our highest pursuit! besides, we have good relationships with all cooperative factories, such as printing and embroidery factories and dying factories. We have our own factory which is making high quality Baby Pettiskirts,baby bloomers, rompers. Great for birthday celebrations, photography, Cake Smashing outfit for girls and everyday dress up. Our Fancy baby clothes will push a smile on your baby's face when she or he wears it. we are very much selective to choose our factory/suppliers. honestly we are not going for random factories. * This fresh lace fabric is perfect for wedding ceremony decoration, apparel, curtain, home decor , new born photo Related Products Company Profile Yiwu huorong Garment factory , we are specialized in 0-12 years children's wear(outfits,dresses, pettitops, pants and accessories). both of our factory and office are located in Yiwu,China as a professional manufaturer and export, we are able to handle large orders as well as to take special care of small orders,we accept customized orders to efficiently satisfy every customer's special requirements. what's more,we could guarantee the super fast shipping upon our powerful logistics with efforts of our trained quility control team, new product hunter team,professional photographer team and customer service team, we have built a good and steady business relationship with hundreds of customers all over the world. 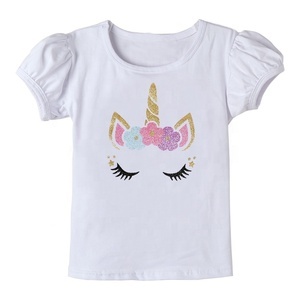 Dongguan Lovelybabies Apparel Co., Ltd.
2014 new design children's wholesale White Long-Sleeve Puff Tee our White Long-Sleeve Puff Tee is made of Soft and Comfortable cotton and spandex,it's very breathable and washable. we could also make any designs according to your requirement . &hearts; s ize chart it can be fit to most babies ,or you can tell us if your need is bigger or smaller. Delivery time: 4-5 Working days Features: &diams; Widely used in high-grade fashionable apparels, garments, clothes, shoes, hats, etc . &diams; Available in Multi styles, size, colors, and clients' designs are warm welcome . &diams; Artwork: Emboridery, beading, or sewing on velvet, net fabric with resin stone, wood beads, plastic beads, Buttons, pearls,pu feather,etc. With about 20 years experiences in knitting wear,got good and famous reputation; 2). Production time: usually within 50days after receiving the deposit or L/C ;or depends on qty. 6. Factory Information: Established in 1994, we are OEM manufacturer, with registered capital worth USD620,000 and a dozen personnel. Sample fee: It will be refunded, if order quantity exceed 500 pcs/design Bulk order : If you find the items are not made as we confirmed before, please send photos with problematic items, we will check and solve the problems. It covers an area of 2,000 square meters with over 120 employees and strict quality controlled system. Sales : Kina Yang Trade manager: cn1510926190 Phone: + 0757 8281 0209 QQ: 2812700590 Please feel free to contact us if there anything we can help. 4. Color: white, black, grey, yellow, red, blue etc and most welcome with customer require Panton 5. Size: standard European & USA size. 8. Samples finished time: 7days after confirmation 9. Your logo or brand can be put on, suitable for advertising and promotion. 1, Material and fabric weight9 100% Cotton, 100% polyester, cotton/poly blended, or Other Fabrics. 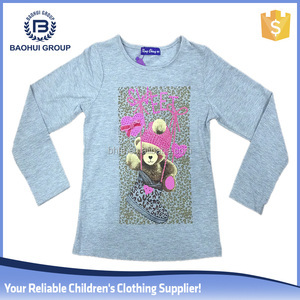 Hefei Betty Apparel Co., Ltd.
Yiwu Mingyou Trading Co., Ltd.
Alibaba.com offers 374 girls puff sleeve t-shirts products. 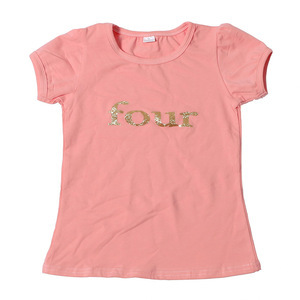 About 14% of these are girls' t-shirts, 8% are girls' clothing sets. 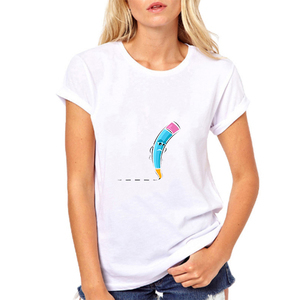 A wide variety of girls puff sleeve t-shirts options are available to you, such as 100% cotton, 100% polyester, and nylon / cotton. You can also choose from beaded, plain dyed, and embroidered. As well as from short sleeve, long sleeve, and sleeveless. 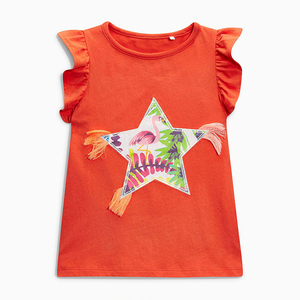 And whether girls puff sleeve t-shirts is 11-14 years, 2-6 years, or 7-10years. 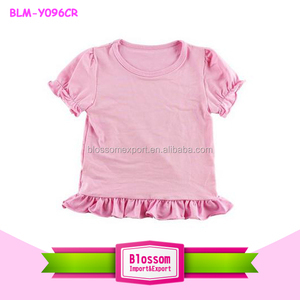 There are 374 girls puff sleeve t-shirts suppliers, mainly located in Asia. 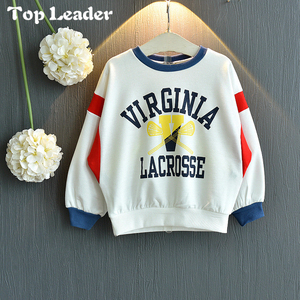 The top supplying countries are China (Mainland), India, and Bangladesh, which supply 94%, 4%, and 1% of girls puff sleeve t-shirts respectively. 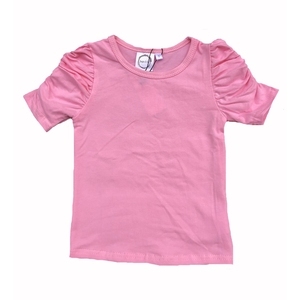 Girls puff sleeve t-shirts products are most popular in North America, Western Europe, and South America. You can ensure product safety by selecting from certified suppliers, including 16 with Other, 10 with BSCI, and 2 with ISO9001 certification.